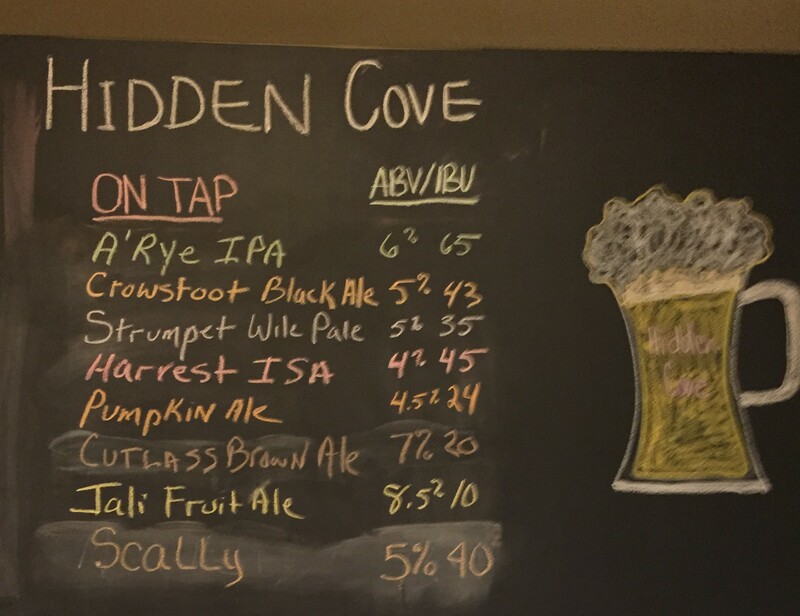 Hidden Cove Brewery, Wells, ME – Breweries, Wineries and the fun in between! 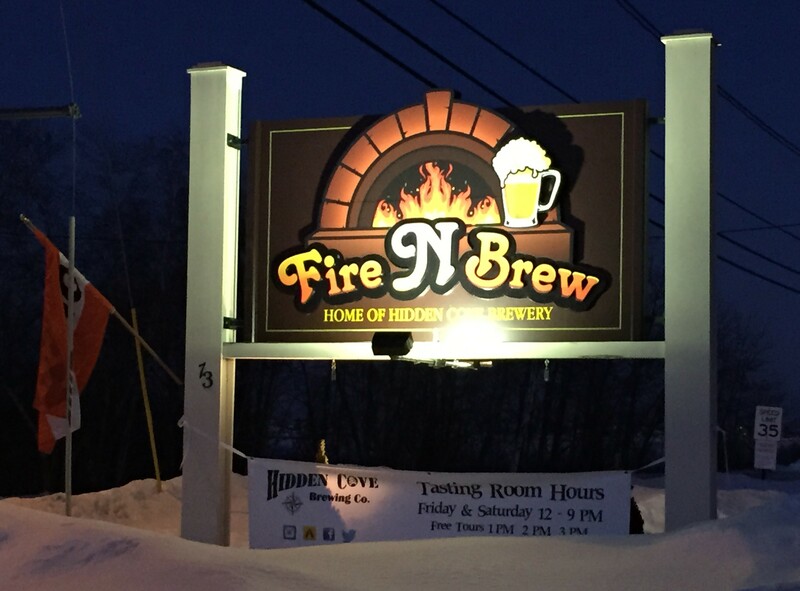 A few weeks ago we visited Fire N Brew, which is the home and tasting room to Hidden Cove Brewery. 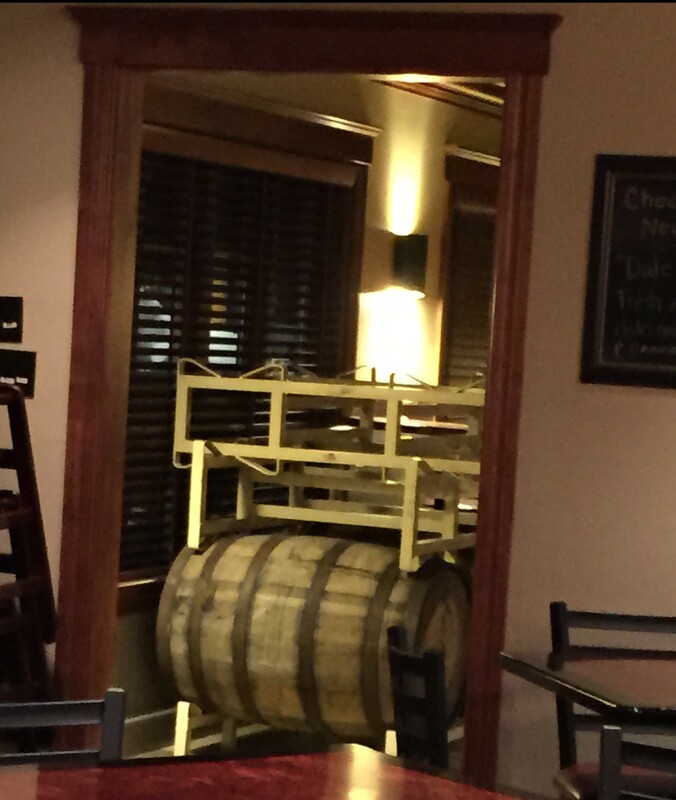 The place was formerly occupied by a steak house, owned by the same couple. They chose to change it, to focus more on the beer. They now are a full brewery, with brick oven pizza. 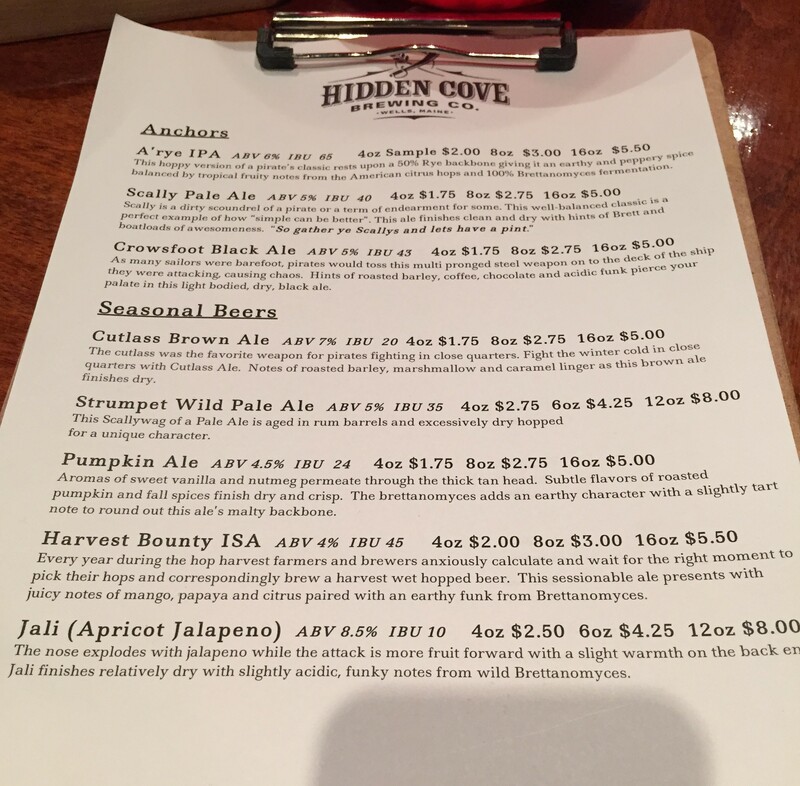 Megan had had a long day, so Mark thought it would be a good idea to go out and try Hidden Cove. He was right! When we entered, we were greeted and asked what we like to drink typically. We were then given recommendations as well as a quick taste of two. 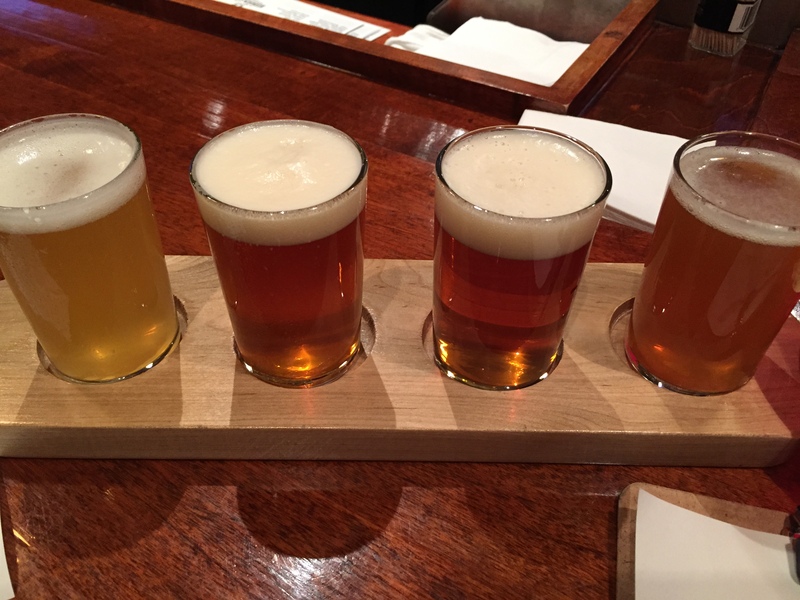 We decided we wanted to try them all, and ordered two flights. They grew 15 lbs of hops and locally sourced the rest. Only 4%, but good flavor for it, very drinkable, used Brett yeast to add more flavor. ‘Simple can be better’. Subtle hops flavor, hints of Brett, dry finish. Hoppy but good flavor, 50% rye, you can taste the rye. Brett adds a little something extra, good, interesting IPA. We both liked. ‘Wild pale’ flavor, not quite sure what that means, but it makes sense. Flavors hard to explain, complex, good. Was aged in rum barrel that previously had held Tortuga Wild Sour Pineapple. Took some of that flavor in this beer. Spicy, sweet, tart, a little bit of everything. Good flavor, really complex but really good. 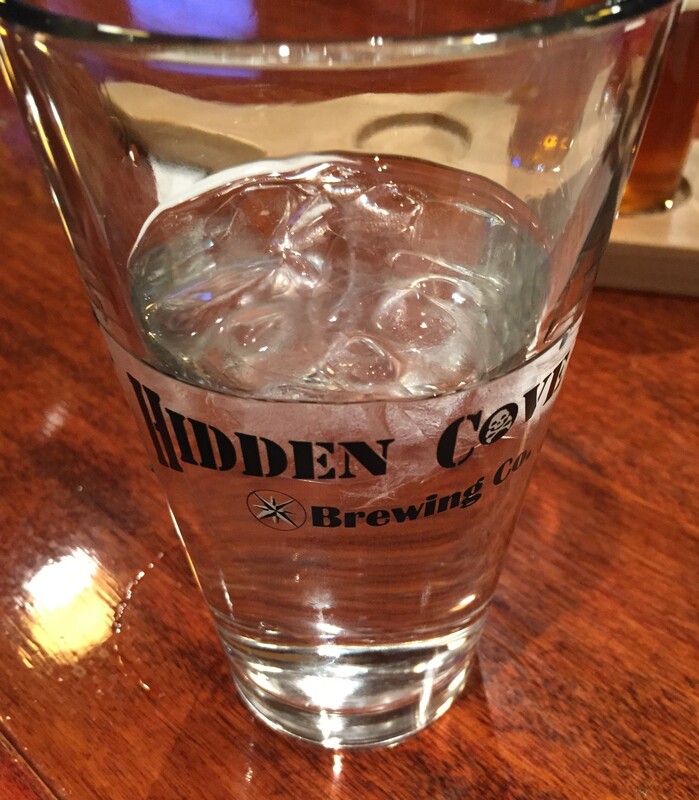 Pretty spicy, we had 8oz pours after the taster, very spicy by the end. The pizzas were also very good. 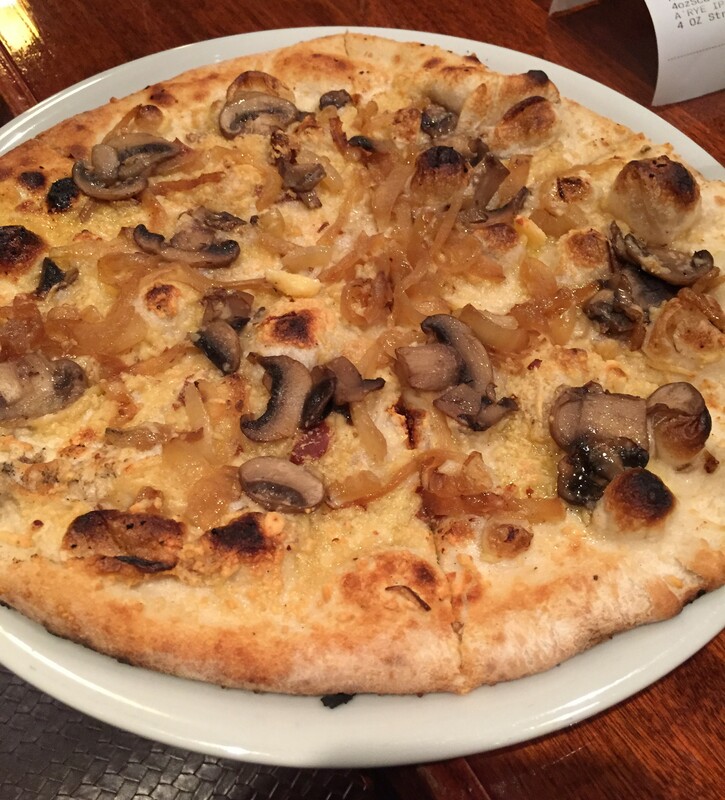 The crust was light, not heavy. 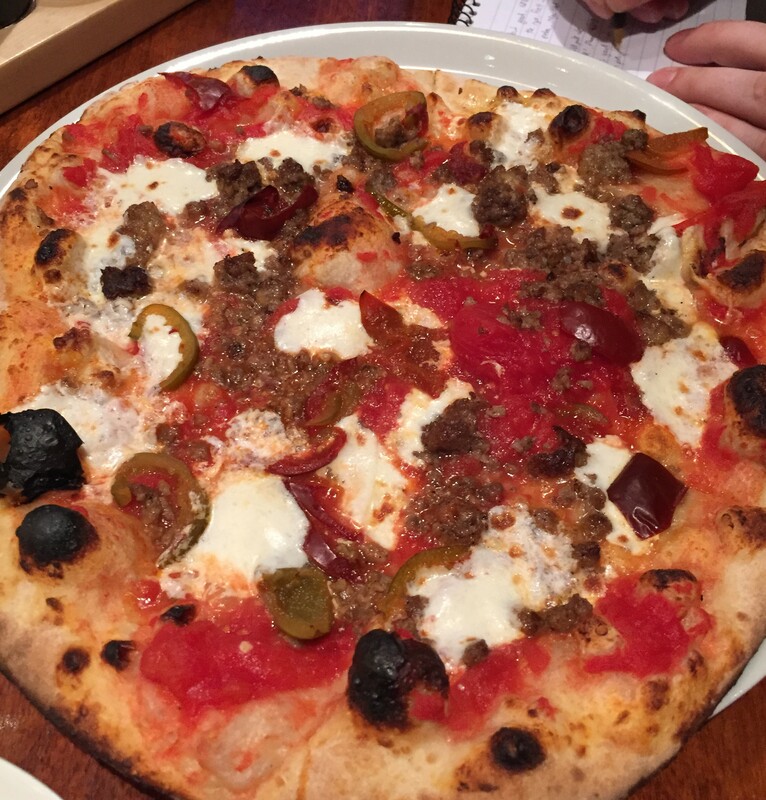 The pizzas themselves were great combinations. 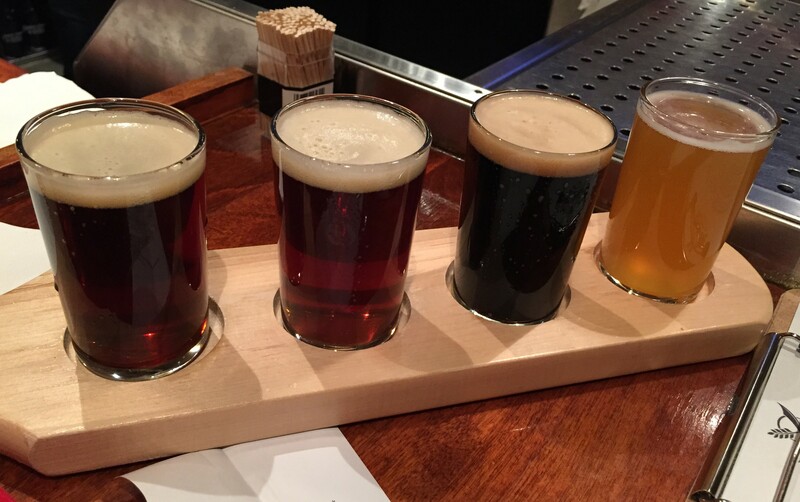 All the beers are made to be paired with food; most of these beers end with a dry finish. 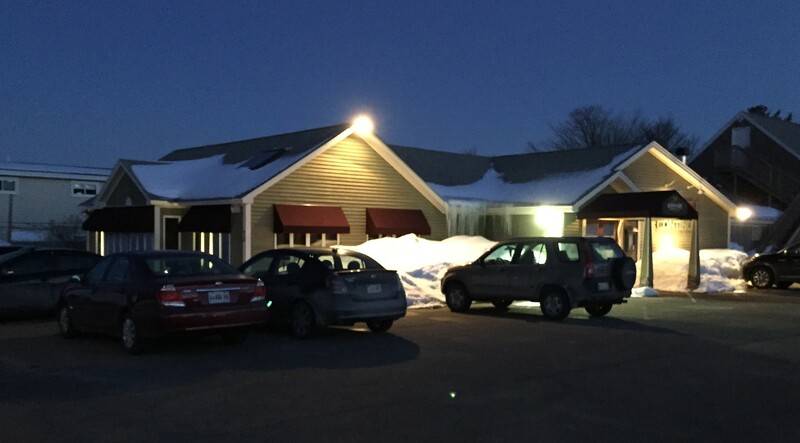 The owner is a CIA trained Chef, who owns a few establishments in the area. Since his background is food, he has great visions on what he wants his beer to be, as well as great descriptions of his beers. We can’t wait to see what they will come out with next! Their summer line up looks amazing!